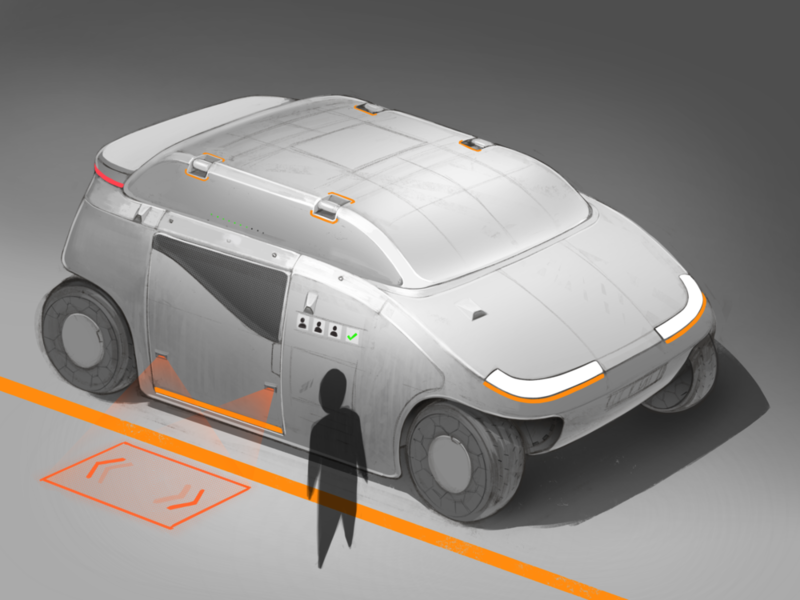 I've been wanting to put a few of my self-driving 'auto' design ideas to paper so starting with this as my test bed. These vehicles will need ways to quickly hot-swap their batteries at service bays throughout the day and communicate clearly with external users. One thing not shown here is them being covered head to toe with banner ads... but maybe next time.